I wanted to write and commend your organization for the wonderfully insightful conference I attended recently." The prompt and courteous service I experienced recently is sure refreshing!" We give Sensory World two thumbs up, for all their sensory related products and services. Plus, I really appreciate being in the "know" with their online Facebook page, it has so many articles of interest that has proven successful in dealing with some sensory behaviors in my own household. 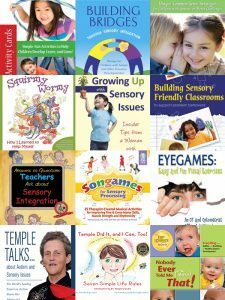 Sensory Focus, their magazine is filled cover to cover with articles written by the experts in the field of Sensory Processing Disorder." Send Us Your Positive Experience!